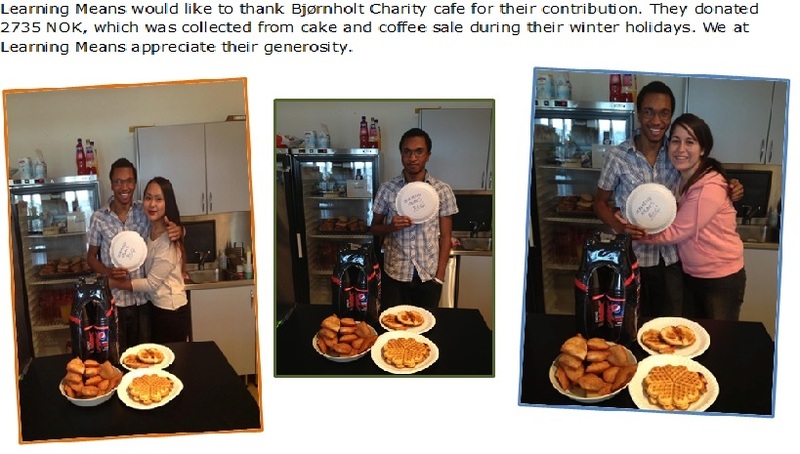 Thanks to Bjørnholt Charity cafe! Format ImagePosted on March 11, 2013 Leave a comment on Thanks to Bjørnholt Charity cafe! Learning Means is a non-profit organisation whose intention is to give bright students from poor families in Kenya a possibility to take higher education by paying their school fees direct to the school they are admitted to. LM will help bright students that have acquired very high scores and have been accepted to a national school but cannot afford the fees. LM will help bright students from poor families who are forced to abandon school in order to earn a living to sustain their families, due to problems beyond their means eg. ill parents or are orphans.